Since January, Kevin Hanson has been working to transform his home barn in downtown Bristol into a fully functional nano-brewery. A few more weeks of construction, and he'll put the finishing touches on Hogback Mountain Brewing and its one-and-a-half-barrel brewing system. Hanson says he plans to release Hogback Mountain's first, seasonal brews — probably brown ales and porters — in early September. No stranger to success in the beer world, Hanson has claimed several blue ribbons in Boston Wort Processors' home-brewing competitions over the years. For Hogback, he says he'd like to develop eight to 12 different recipes and offer a seasonal rotation, including a hefeweizen and a German gose for next summer. He doesn't plan to get too trendy with his initial selection, though. "I'm trying to go with more traditional styles like pale ales, porters and lagers, and then see where it takes me," Hanson says. Brew heads will have to look off-site for a first taste this fall. Zoning restrictions rule out a tasting room at the brewery, but Hanson has been networking with redemption centers and local watering holes as potential buyers for Hogback's 22-ounce bottles and 5.2-gallon kegs (called "logs"). Hanson's wife, Patty, will manage the brewery's distribution. The brewing in the barn won't just benefit drinkers. With the help of an indirect waste permit, Hanson will donate all his processed water and spent grain to Cedar Hill Farm, a local dairy owned by his longtime friend Jerry Butler. "The spent grain makes great animal feed," Hanson explains, and adds that this sort of arrangement is "pretty common in the brewing world." A retired facilities manager, Hanson dabbled in home brewing in the 1970s and got back into it in the '90s, he says. Now it suits his search for alternative income sources. "I'm part of the group of sixtysomethings that left corporate America," he says. 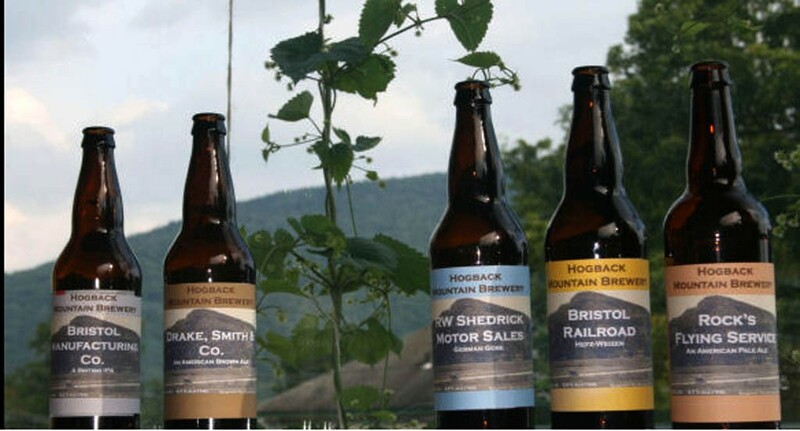 Hogback Mountain's marketing concept matches Hanson's focus on traditional styles of beer. 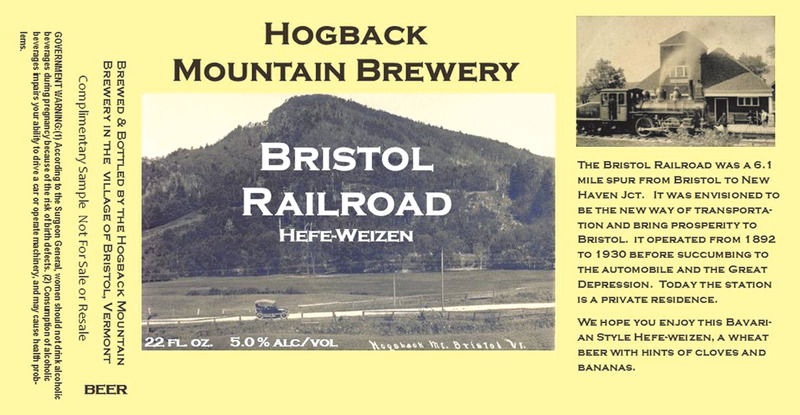 The name of each brew will commemorate a business from Bristol's early industrial days — Bristol Railroad; R.W. Shedrick Motor Sales; Drake, Smith & Co., to name a few — and appear on the label alongside a tidbit of history. "We're trying to stay away from coming up with clever, glitzy names," says Hanson — sticking with traditionalism even as he rides the tiny-brewery trend. The original print version of this article was headlined "Beer Hog"